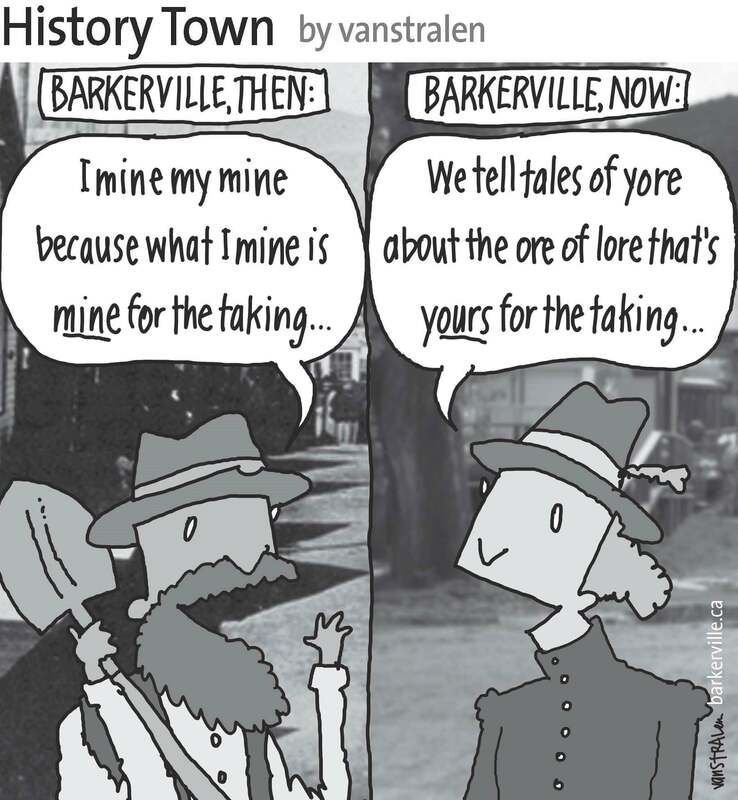 The longer I work in Barkerville the more I am reminded that, although we are now interpreting the history of the first Cariboo gold rush rather than actually living it, we are still very similar to our Victorian counterparts. Many 21st-century Barkervillians come here for one summer season, not really knowing what to expect, and find themselves drawn to this remote place in a way none of us can ever really explain. We find ourselves moving here permanently, or returning season after season, compelled by some inexplicable need to keep Barkerville close to us. In the 19th– and early-20th centuries, the same thing happened. Miners, merchants, and wanderers from all walks of life came to see what this place was all about, and were quickly absorbed into the thick of the Williams Creek community. They were here for more than just gold. They wanted to stay for a while. They made this place their home. In a land that averages eight months of snowy, winterish weather, the short but intense spring and summer months are the focus of our entire year. We wait and wait for the ground to thaw, just as the original citizens of Barkerville did, and as soon as the first patches of dirt and grass emerge from beneath their icy restraints we spring into action. Miss Florence Wilson (the character I have played in Barkerville since 1993) was one of the original, founding members of the Cariboo Amateur Dramatic Association. In 1865 the CADA began to produce and perform theatricals in a saloon on Williams Creek. After “the great fire of 1868,” which saw most Barkerville reduced to ashes, the CADA was such an established part of gold rush life here that a legitimate theatre-space was built during Barkerville’s post-fire reincarnation to accommodate the Cariboo Amateurs’ shows, as well any travelling troupes that came through the area. This week, Barkerville’s Theatre Royal will host a gala evening wherein its newest musical revue and newest musical drama will officially open for the summer season. Once again, the bell over our beloved theatre will ring out, signalling that it is time to put your cares away for an hour or so, and come see a show. During weeks like this one, when every interpretive program and theatrical contract is scrambling to squeeze in extra rehearsals before the school-program focussed spring season gives way to the longer, more densely packed summer schedule, I feel the closest to Miss Wilson. How must the members of the CADA have felt more than 140 years ago as they too experienced the stress and excitement of a looming opening night at the start of a fresh mining season? Florence Wilson was a formidable entrepreneurial and cultural force in Barkerville for all of her years there, but I especially relate to her as someone who is also in the business of creating art in the middle of a gold-crazed society. Every year at this time I imagine her writing, rehearsing, planning, painting sets, and so fully aware of how important it is to provide entertainment to the hardworking international citizens of the Cariboo. For nearly two decades now my own springtime life has been filled with cramming scripted lines and historical information into my brain, seeing to the details of costumes, props and scripts, and hoping that what comes of it will provide some entertainment, amusement, and education for the people who come to Barkerville from all over the world – people who come for the gold, and find so much more. The above one-panel cartoon (originally published June 21, 2014) by Dirk Van Stralen, with accompanying editorial by Danette Boucher, is the sixth of twenty weekly entries that were logged – and subsequently blogged – as part of a 2014 collaboration between Barkerville, British Columbia and the Prince George Citizen aimed at introducing some of the quirkier advantages to living, working, and playing in the Cariboo Goldfields. We hope you enjoy!